Not only are the trees on your property important to the overall environment for the oxygen they provide, but their look adds a great deal of beauty and value to your property as well. With that in mind, it is important that you do what you can to make sure your trees remain healthy, viable and vibrant. While trees seemingly take care of themselves, they do require some assistance from you to help keep them at their best. 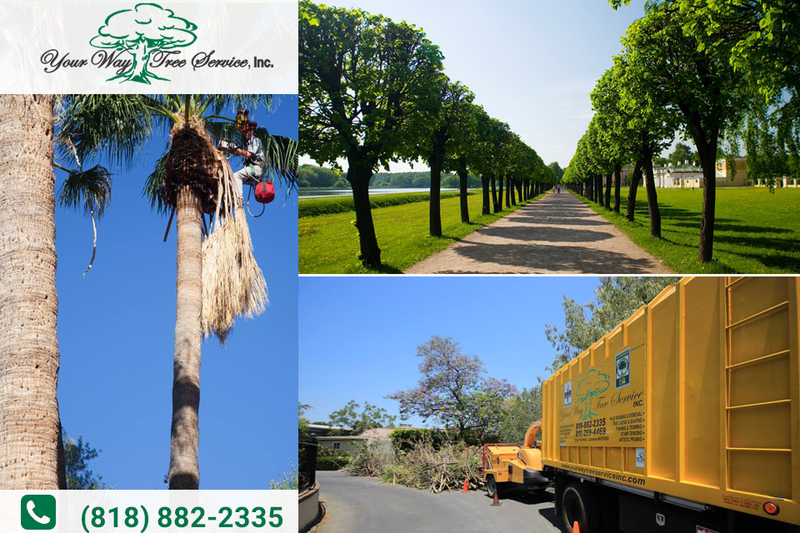 When it comes time for you to seek out tree trimming in Agoura Hills, it is important that you look to a licensed, experienced company to do the work for you. You may see many businesses or contractors that advertise that they can trim or remove trees for you. However, these companies and individuals may not be properly licensed by the state to do this kind of work. A proper license indicates that the company has undergone proper training and education and knows how to perform the tasks and services needed for safe removal and trimming. When you hire someone that is unlicensed or uninsured, you run serious risks that may leave you with damaged property, trees that are not handled correctly, or even liability for any injuries that occur. When you look at a licensed company like ours at Your Way Tree Service, Inc. to help you with tree trimming in Agoura Hills, you know you are getting a service working for you that has the right knowledge about trees. We have several professional affiliations and certifications that show we have deep knowledge of trees and how they should be maintained. We will employ the best, safest practices that allow us to trim your trees properly so that they stay healthy and look their best all the time. If you need tree trimming in Agoura Hills performed on your property, make the call to us at Your Way Tree Service, Inc. so you can be sure you get the licensed, professional service you need. You can contact our office by calling 818-882-2335 to schedule an appointment with us so we can look at your trees to see what is needed. We will provide you with the safe, effective and reliable work you need to get done so that your trees can continue to add beauty and prosper.